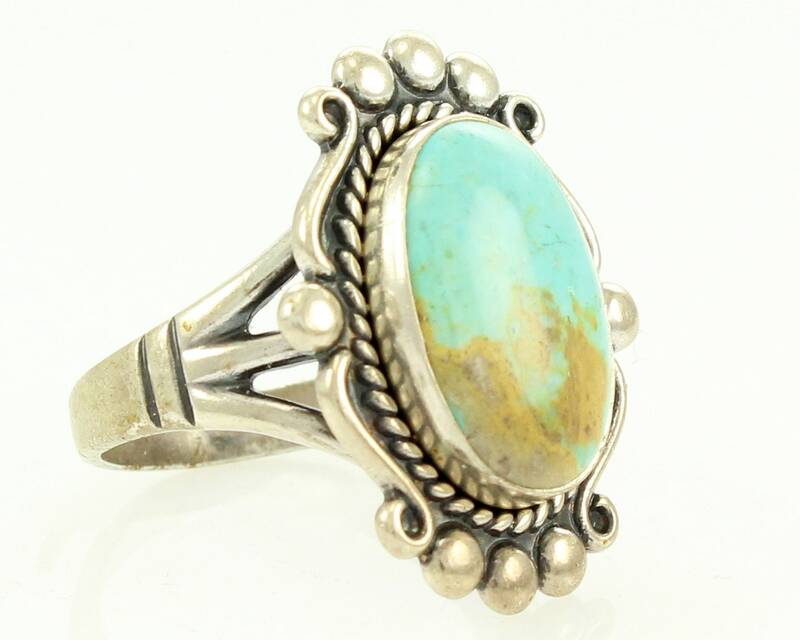 Vintage Gem Turquoise Sterling Silver Oval Ladies Ring by Bell Trading Post Size 9. 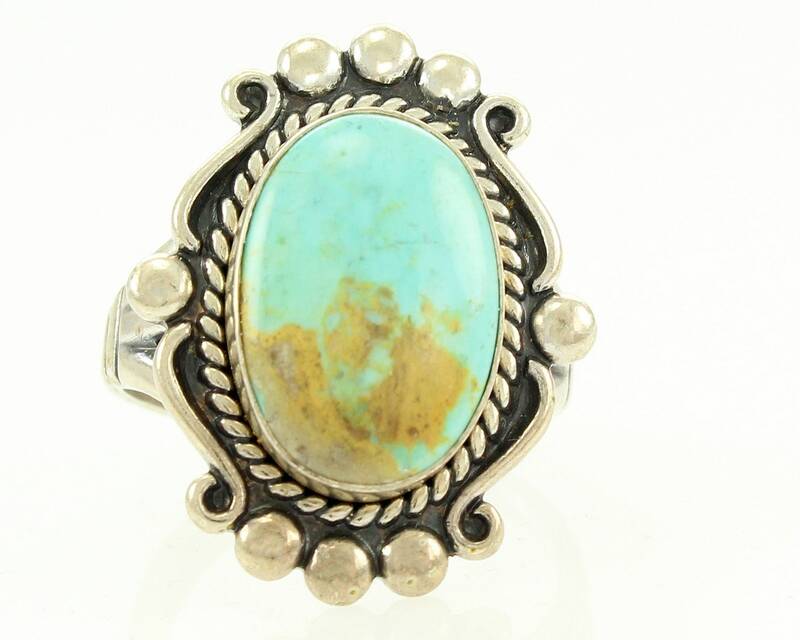 This New Old Stock ring was made in the 1970s and features an oval cabochon on gem turquoise with tan matrix. 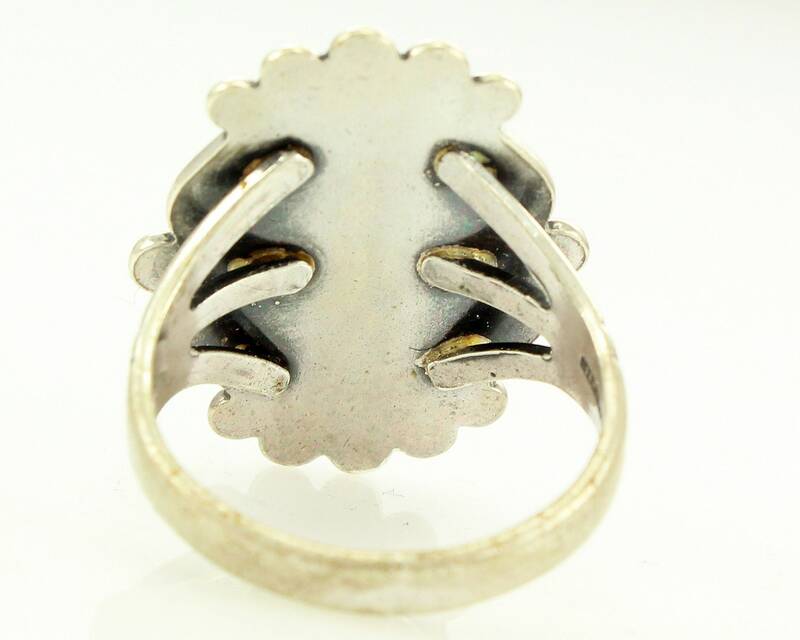 The top of the ring measures approximately 28 mm x 20.5 mm. 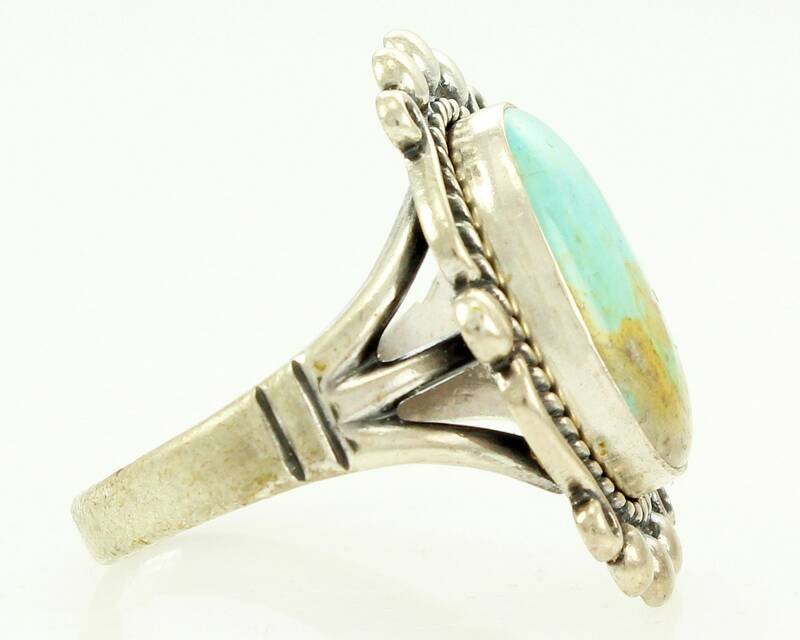 The shank tapers to 3.2 on the reverse. 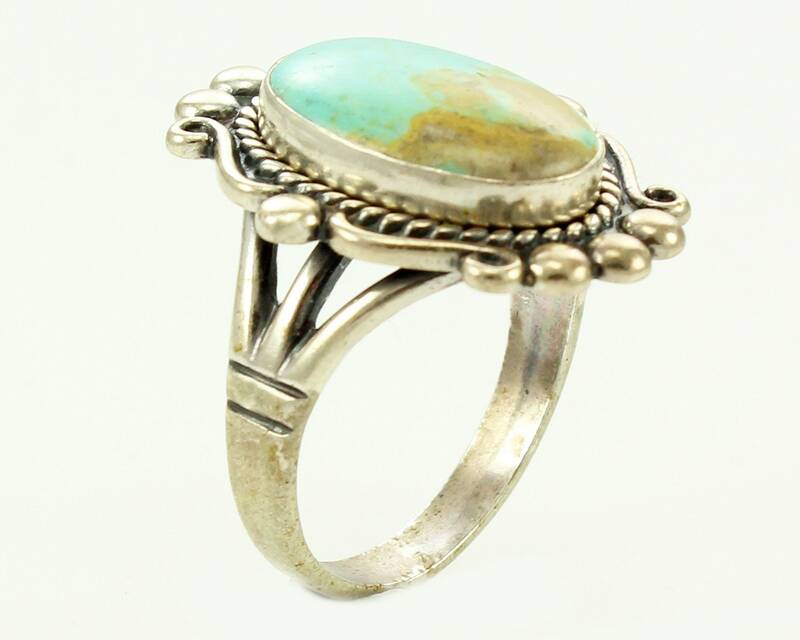 The ring is a size 9. 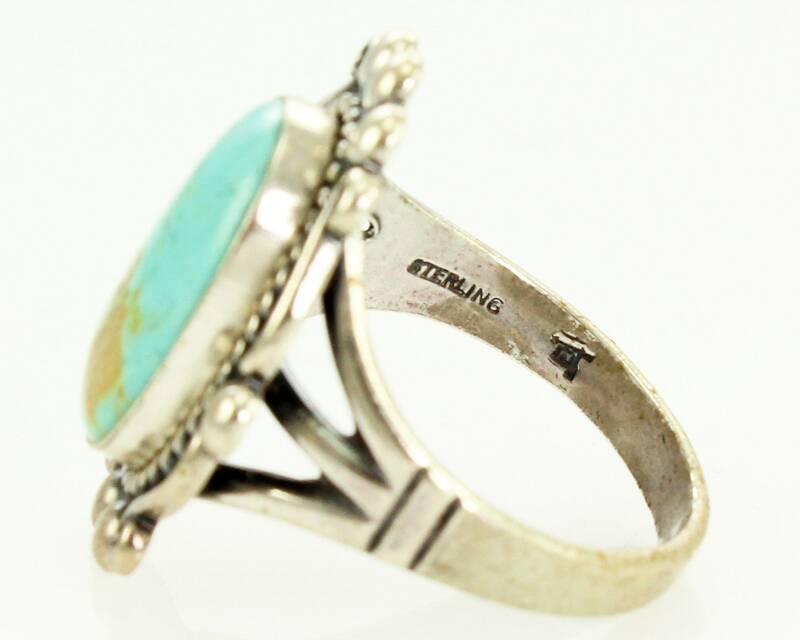 Marked Sterling with the Bell Trading sign post mar on the inside of the shank.